By calfclan, June 23, 2014 in Help, my PC is infected! Some problems could not be removed. I have attached the files below. If you lose that log file for any reason, you can find it at C:\AdwCleaner on your computer. Download Junkware Removal Tool and save it on your desktop. Attach the JRT log file to a reply by clicking the More Reply Options button to the lower-right of where you type in your reply. NOTE: It's important that both files, FRST and fixlist.txt are in the same location or the fix will not work. If the tool needed a restart please make sure you let the system to restart normally and let the tool complete its run after restart. I ran the adwcleaner scan but no log showed up after it restarted. I did it again and still none and it is not in the C: directory either. JRT said it found a bad module and asked to reboot. I said yes. Again no log so I ran it again and said no to the reboot that time. It restarted after finishing the FRST fix. NOTE: ComboFix is an advanced utility, and is not like traditional automated tools. It will delete anything that it knows is bad without asking for confirmation, it will save backup copies in it's quarantine automatically, it will restart your computer, and it will produce a log that allows me to analyze and determine if there is anything left over. This log will not contain any personal information, or information about any of your documents, pictures, music, videos, etc. It only compiles information on which applications/drivers/etc were installed within the last 30 days, any applications that have certain properties that could be used for malicious purposes, and most of the load points on your system that can be abused by malicious software. If there is a false positive, and something gets deleted that should not, then I can write a script for ComboFix that will tell it to restore specific items that it deleted. 3. If you get a message that states "illegal operation attempted on a registry key that has been marked for deletion" restart your computer. I had no problems running Combofix. Registry editor - cannot export C:\Qoobox\Quarantine\Registry_backups\AddRemove_where in the world is Carmen Sandiego? v3.5 3.5.reg.dat: Error opening the file. There may be a disk or file system error. The computer is running really slowly. Internet explorer took ages to load the page to download Combofix. Now internet explorer starts but the page takes 5-10mins to load if at all. I am replying from my laptop. A restart may fix those issues, otherwise we may need to reset some system settings to their defaults. Run fresh scans with Emsisoft Emergency Kit (EEK) and FRST, attach the new EEK and FRST scan logs to your reply. Restarted. Completed the scans no problem. Files are attached. Internet pages still won't load and your website is not responding on my PC. Scan completed, automatic restart and fixlog attached. Still having the same issue with Internet Explorer with at least 5 mins to load a page. I am going to have you reset several areas of Windows to their default settings. Double-click tweaking.com_windows_repair_aio.zip and extract the Tweaking.com - Windows Repair folder to your desktop. Now open this folder and double-click Repair_Windows.exe. Click the Start Repairs tab on the far right. Note: When asked if you would like to create a restore point. It is recommended just in-case something does not go as planned. After the system restarts, run a fresh scan with FRST and attach the new FRST log to your reply. Completed the windows fix. New FRST logs attached. Cannot open internet explorer at all. It flashes then closes. I tried opening from a link in an email and it says "windows cannot access the device, path or file. You may not have appropriate permission to access." 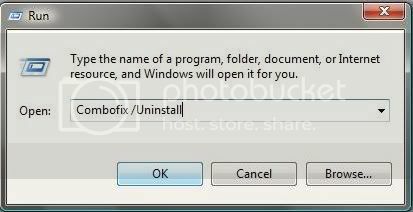 Uninstall IE 11 and reinstall. Your FRST log is incomplete. The computer won't start at all. It says windows has encountered an error and to put in a Windows disk and repair. I just turned it off manually. Try doing a System Restore and restore the system to a earlier restore point. Restoring didn't work. I am finding the windows disk to open with that and repair. It might take a few days. PM either ShadowPuterDude, Elise, or GT500 to have this thread reopened. Support thread opened at original posters request. I repaired windows with the windows disk. The computer is working well other than internet explorer. I uninstalled and re-installed explorer but it still doesn't work so I have chrome on there now. Attached are the new FRST logs. Might be a permissions issue. Run Windows Repair by Tweaking.com again, and this time only have it reset the file permissions. Internet explorer is now working and the computer seems fine. Is it all virus free and ready to use now? Install and run the Secunia Personal Software Inspector, this will inspect your system for software that is out-of-date and in need of updating. Update anything program/application detected as being out-dated.